At the Monday, Oct. 23 Moorestown Township Council Meeting, council banned the sale of dogs and cats and addressed questions related to ongoing affordable housing litigation. At its Monday, Oct. 23 meeting, Moorestown Township Council unanimously passed an ordinance on second reading banning the sale of dogs and cats at pet shops before fielding questions related to tax and affordable housing negotiations. Members of local animal rights groups took to public comments to commend council on its decision to ban pet shops. Brian R. Hackett, state director of the Humane Society of the United States, said Moorestown does not have any pet shops, and the ordinance is preventative. “We applaud you for taking this proactive measure,” Hackett said. Hackett said Moorestown joins 112 other municipalities that have passed ordinances banning the sale of cats and dogs. He said these ordinances are “business friendly” as most pet stores, such as the PetSmart in Moorestown, work with shelters. Janice Fisher, puppy mill awareness coordinator for Friends of Animals United New Jersey, said from predatory sales tactics like puppy leasing to breeding violations, pet stores often take advantage of customers. “Do you really need a pet store in town when there are so many responsible breeders, reputable shelters and rescue organizations from which to choose a pet?” Fisher asked. Members of council also praised the ordinance, which was first proposed by Councilwoman Victoria Napolitano. “We are prime real estate for a puppy mill, having a mall,” Napolitano said. Napolitano said this is a step council can take to deter people from shopping for pets and encourages them to consider adopting instead. The Moorestown Mall was also a hot topic of discussion for council later in the evening. Council passed a resolution authorizing the tax collector to cancel and refund tax overpayments. Township Manager Thomas Merchel said the tax appeals process stretches back to 2009 and has been an ongoing negotiation since then. Merchel said the township came to an “agreeable settlement” with the state court. The years 2009, 2010, 2014, 2015, 2016 and 2017 were dismissed, and the years 2011, 2012 and 2013 were settled for approximately $3.1 million. Merchel said the repayment schedule is structured so that in 2017, the township pays $500,000 and owes $525,000 for the following five years. Merchel said the township already has a $500,000 reserve set up for the first payment. He said for the subsequent five years, the township can either use surplus money or raise the funds through other means. Deputy Mayor Stacey Jordan praised Merchel’s “proactive” efforts in setting up the reserve. She said the township is in good shape because of Merchel’s foresight. Mayor Manuel Delgado echoed Jordan’s sentiment. He said the negotiation has been ongoing for “quite a long time” and thanked Merchel for doing an excellent job getting six years dismissed. Council fielded questions regarding the township’s affordable housing plans. Moorestown resident Roberto Paglione said he was frustrated by council’s lack of public communication regarding the township’s affordable housing obligation. “What my problem is — and I don’t speak for anybody else — is the utter lack of transparency,” Paglione said. Following the Council On Affordable Housing’s disbanding, towns have to petition the court for approval of their affordable housing plans, with developers and other interested parties intervening on these proceedings through declaratory judgment actions. In 2005, the township filed a declaratory judgment action with the superior court of Burlington County. Since then, Fair Share Housing Center became an intervenor, or a defendant in that case, asking to be involved in the township’s plan as it goes forward to determine its affordable housing obligation. Delgado said due to ongoing litigation, council cannot discuss the location, number of units or any of the parties involved. “When it shifted over to the courts, it really tied the hands of every municipality,” Delgado said. Paglione, who called for the township to put a halt to the development of the Nagle Tract on Hartford Road at the last council meeting on Sept. 25, asked if council had considered alternative locations other than the Nagle Tract. “Every vacant land in the entire municipality is being considered,” Delgado said in response. Resident Danielle Miller inquired as to why council was considering going with a high density model rather than “blending” housing throughout town. “I think how we do it now seems to be working,” Miller said. Napolitano said a builder doesn’t want to build just low- to moderate-income housing because they won’t get a return on their investment, and for that reason, builders will usually only designate around 20 percent of the units as low- to moderate-income housing. She said if only 20 percent are designated low- to moderate-income, a builder would have to create between 5,000 to 6,000 units for the township to meet its affordable housing obligation. Locatell said due to the litigation, the township still does not know the number that will satisfy its affordable housing obligation. “Until we have the final numbers, we’re not sure where all the chips fall,” Locatell said. 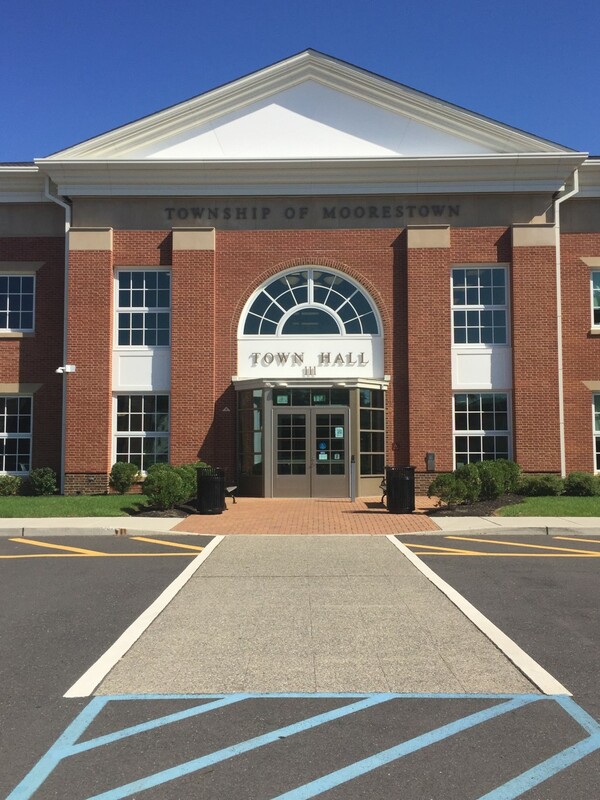 The next meeting of the Moorestown Township Council will be on Monday, Nov. 13 at 7 p.m. in Town Hall.